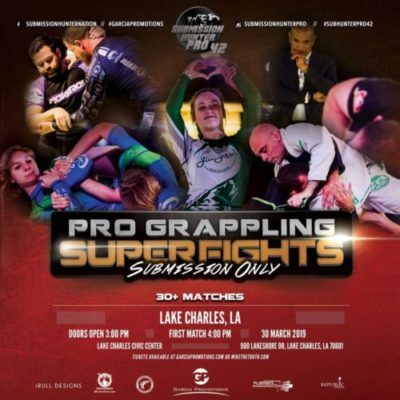 Submission Hunter Pro returns to Lake Charles, La for Submission Hunter Pro 42. The event is scheduled for Saturday, March 30, and takes place at the Lake Charles Convention Center. Check out the full card below. Purchase your tickets here at MikeTheTruth.com. Grapplers receive a percentage of the sales from my site.